Availability Search for The Annexe, Cedar Cottage. 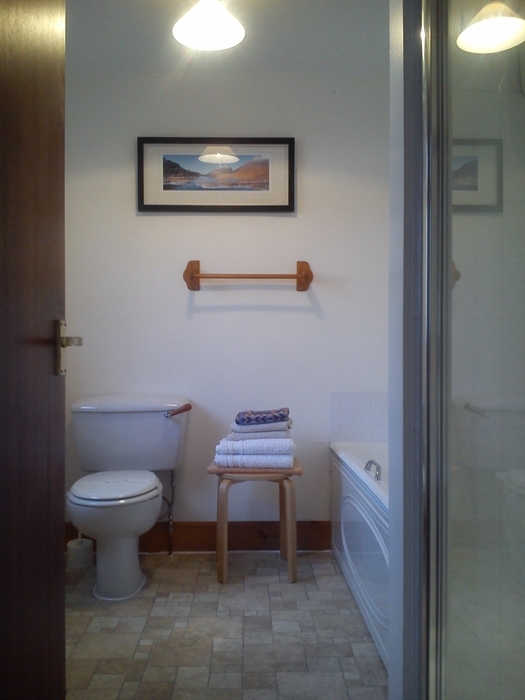 The Annexe, Cedar Cottage is an ideal base for one or two people wishing to explore central Scotland. 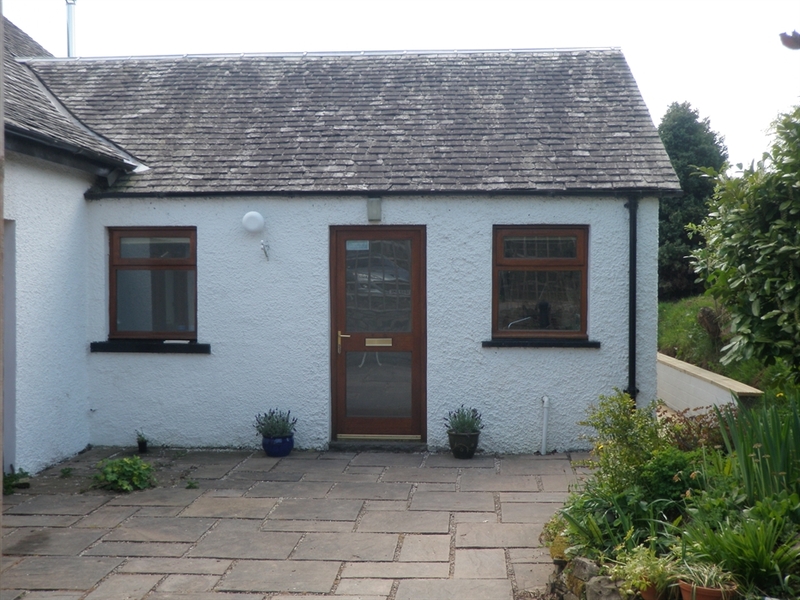 Cedar Cottage Annexe is situated on the eastern edge of the Loch Lomond and Trossachs National Park, and is a ground floor apartment with its own front door. Although attached to the owner's home it is completely self contained and separate, providing the ideal retreat from everyday stresses in a peaceful rural location. There are open views and a private south facing decked area looking onto fields and the Campsie Fells. Our central location means that The Trossachs and Loch Lomond, Glasgow, Edinburgh, Stirling, Perth and Fort William are all within easy reach, and there is plenty to do both locally and further afield including historic sites, sailing, golf, fishing, walking, museums, theatres and restaurants. Shops and pub 3 miles. Oil CH (from main house system), 1 extra Convector Heater, elecricity, bed linen and towels all included. Elec oven and hob, fridge/freezer, flat screen Freesat TV & DVD, M/wave. W/machine. Parking (1 car). Easy walking access. No smoking. Cedar Cottage was originally a farm worker's bothy and dates from 1897. Over the years it has been extended and is now "L" shaped with the Annexe occupying the short leg of the letter "L". The owners have lived here for many years and know and love the area and if required are happy to help plan itineraries for days out. Ground floor: Hall, Living/Dining/Kitchen. 1 bedroom (super-kingsize or twin beds - please advise). Bathroom with bath and walk-in shower cubicle, hand basin and toilet. Steep, narrow, open tread, ladder style stair to galleried reading area. Own private south facing decked area with table and chairs and countryside views. We understand that sometimes holidays or working away from home have to happen suddenly, and we are happy to accommodate late & last minute bookings. Please Tel: 01360 440701 to make arrangements.